Rangers of the Narok County Government's rhino protection team stand on top of a truck to monitor a black rhino during the early morning patrol in the Maasai Mara National Reserve, south-western Kenya, 25 February 2014. KRUGER NATIONAL PARK - Rhino poachers in South Africa now risk giving themselves away when they shoot thanks to a high-tech, gunfire-detection system being piloted in the country&39;s flagship Kruger National Park. The stakes are high for rhino are being slain in escalating numbers for their prized horns, alarming both conservationists and the government since wildlife in South Africa is an important tourist draw. "ShotSpotter", a product of privately-held California company SST Inc, has previously been used in crime-ridden urban U.S. neighbourhoods to alert police to weapons fire. In South Africa it has already yielded the arrests of an undisclosed number of poachers, earlier this year. The matter is before the courts and park officials are reluctant to divulge details, saying it could possibly expose the location of the ShotSpotter array to other poachers. "This is my 14th war and the one I am determined to win," said Otch Otto, a former soldier and U.N. peacekeeper who is now using his combat skills as Kruger&39;s joint operations manager in the poaching front lines. As part of a pilot project, microphones have been planted in undisclosed areas of vast Kruger Park, the size of Israel. When a shot is fired the origin of the sound is triangulated and sent to the service provider in the United States. Coordinates are then relayed to a Kruger operations centre within 30 seconds, making it possible to deploy rangers and helicopters with precision. ShotSpotter can detect gunshots up to three kilometres (two miles) away, somewhat less if a weapon is equipped with a suppressor, or what Hollywood movies usually call a "silencer." On average, it can locate to within 10 metres (33 feet) the spot where a firearm has been discharged. The company says it is the first time the technology has been employed outside of an urban environment. Drones and other high-tech surveillance tools have also been used in the escalating battle with poachers. But the thick bush and high animal densities can thwart 21st century technologies. "Our opponents are skilful, formidable people who know how to navigate in the thick of the night, taking cover under leaves and grass. You can&39;t win this war with helicopters and drones, the bush is too dense," Otto said in his "war room", plastered with aerial maps of the park sprawling across the country&39;s northeast. More than 700 rhino have been slain for their horns so far in this year South Africa, over 450 of them in Kruger. More than 1,000 were poached last year, three times the tally in 2010, to meet soaring demand for rhino horn, coveted as an ingredient in traditional medicine and as a status symbol in fast-growing Asian economies such as China and Vietnam. South Africa is the epicentre of the poaching surge because it has the vast majority of the world&39;s rhino. Elsewhere in Africa, elephants are being poached relentlessly for the ivory in their tusks. The latest census from Kruger shows it has between 8,400 and 9,600 white rhino and there are plans afoot to move 500 of them out of the park and hopefully out of harm&39;s way. 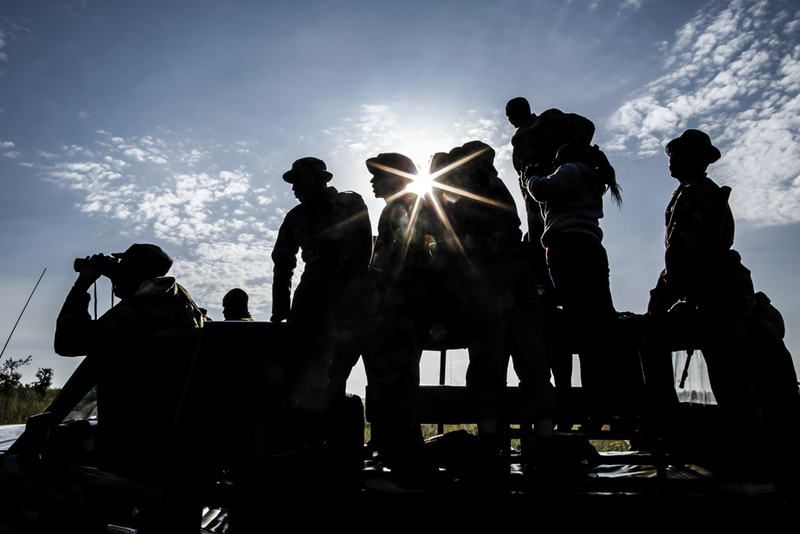 Most poachers slip into Kruger via the park&39;s 360-kilometre (220 mile) eastern border with Mozambique, one of the world&39;s poorest countries, where poaching and trade in rhino horn provide an income to impoverished villagers.